We recently told you that RIM was planning on giving away 2,000 BlackBerry 10 flavored handsets to those attending the BlackBerry Jam conference that runs alongside the annual BlackBerry World Conference in Orlando. The festivities start on Tuesday and run through Thursday. By giving away the phones, RIM is hoping to spark some developers into writing apps for the upcoming BlackBerry 10 smartphones which could be the Canadian manufacturer's last chance to be a competitor in the smartphone industry. Is this the BlackBerry London? 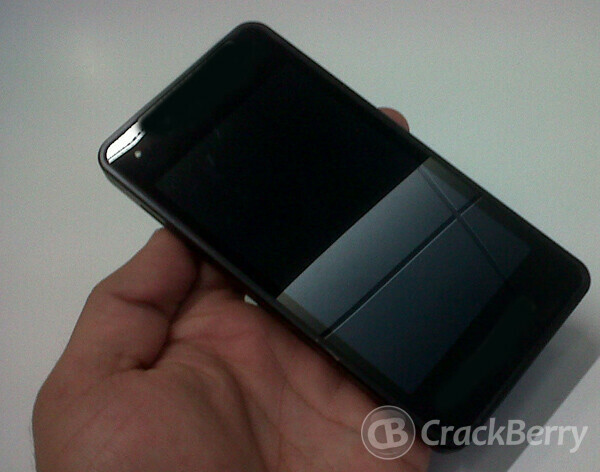 Crackberry has obtained photographs of the Alpha version of the Developer's model and it appears to be a rubberized slab. Regardless if you hate or approve of the design, this is not the model that you will be considering a purchase of later this year. The phones being handed out to developers will not have the same looks and navigation as the finished consumer product will have. 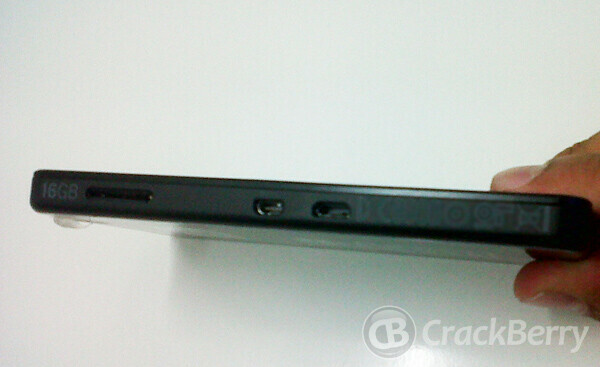 The first BlackBerry 10 model is expected to be called the BlackBerry London and is due out later this year. 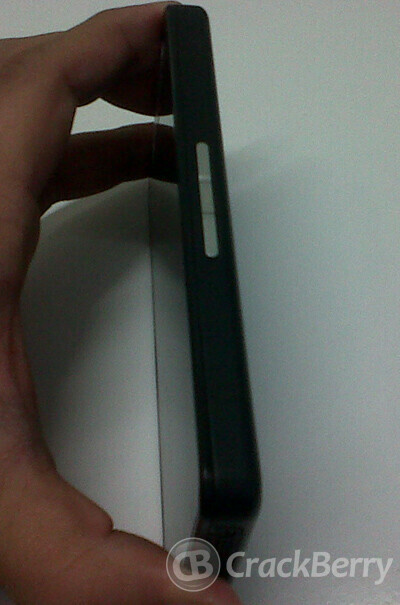 A picture, allegedly of the device, has already been leaked. 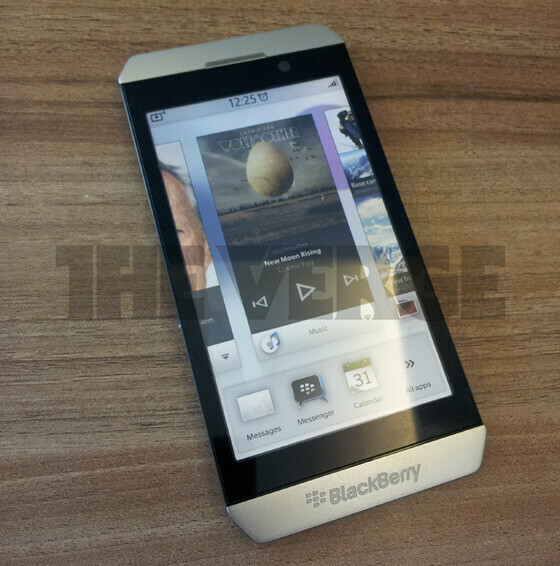 The BlackBerry 10 OS is based on the QNX OS that RIM uses on the BlackBerry PlayBook tablet. Originally the smartphone OS was called BBX until RIM found out that another company called Basis was using that name and changed the moniker of its new OS to BlackBerry 10. 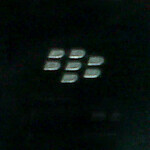 Now, RIM starts on the most important journey in company history by giving developers a head start on using BlackBerry 10. 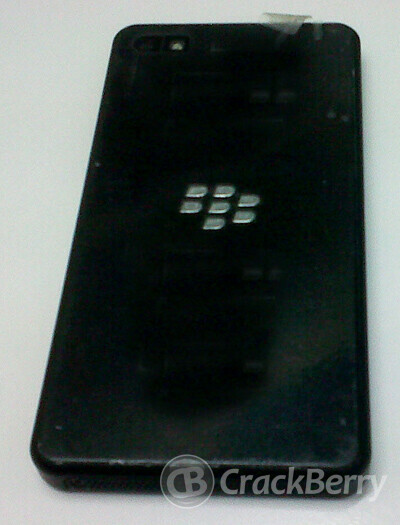 A few days ago, we showed you leaked photos of what is claimed to be the packaging for the BlackBerry London. I spy with my little eyes a lawsuite coming from Apple if this phone is released. Apple will more than likely say something along the lines of "it's form factor and camera & flash positioning are too similar to those of the iPhone 4 & 4S." i gotta agree. the top pic not so much so but the bottom ones definitely. Well this kind of style of phone is considered a Candy Bar style, most phones are so they can't sue over form factor because Apple doesn't own the patent . "Regardless if you hate or approve of the design, this is not the model that you will be considering a purchase of later this year." please read before you post. IDK about you guys but when i look at it it looks like an iPhone 4s! The hardware isn't as importaant as the Softwarem Most smartphones will have a candybar appearance and have a 4" plus screen. Personally I am much more interested in the software and how the device worKs as opposed to its appearance. Totally agree. The write up says it is a developers version only. Hope this sparks some excitment. Hate to see RIM go away. I think they still have something to offer the mobile world. I actually love how simple it look, that mean it will be easier ro make cases for it and will have more options. once the software in as good and even better than the PLAYBOOK, RIM will pull it off and be around much longer. Looks like the motorola triumph! Hope it's awesome. who cares. bb is dead. Definately looks like a smaller size playbook even the button placement and usb and hdmi and dock ports are the same, just the camera placement is different. Typing this from a playbook. Love it, what they need to do is have removable battries and optional slide out keyboard and that will go a long way. i can't wait to see blackberry's final product! Looks cool actually, but too iphone4'ish... at least they decided to change designs... finally! It has a form factor like the Galaxy S2 actually. why would apple sue them for the units they're giving to developers. and it won't even be the final look of the phone.